Scalable Vector Graphics (SVG) is an image format, so text isn’t the first thing you might think of when considering its uses. But one of SVG’s key features is its ability to encode text in a machine-readable form. 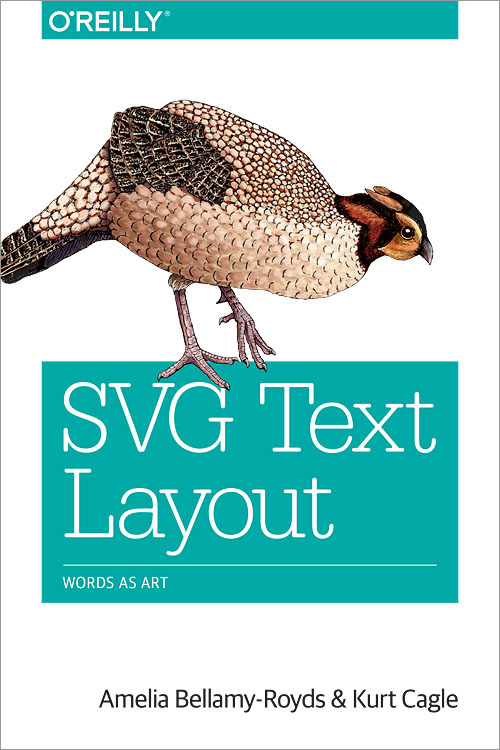 This book takes a deep dive into the use of text within SVG to explore the creative possibilities as well as the potential pitfalls. You’ll start with SVG’s text basics, and then learn methods for using SVG to generate complex layouts.